Prestige Pawnbrokers Surrey provides loans against logbook in Putney. Some of you will know its more formal name as V5 vehicle registration document. As we are locally based we can offer loans against your V5 logbook in Putney. As a trusted, long established local high street pawnbrokers, we can offer up to three times more cash than other lenders for logbook loans in Putney. If you need to raise cash fast but can’t get a high street loan and don’t want to sell your car call our dedicated team logbook loan specialists in Richmond on 0208 948 4867. Our trusted logbook arrangers will assess your vehicle and offer you a cash loan based on its underlying value. We are based in Kew Road, Richmond so getting a logbook loan in Putney is very convenient call us on 0208 948 4867or apply online. 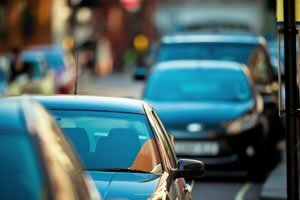 Can I loan against my logbook in Putney? You almost certainly can we offer logbook loans to satisfied customers all over Surrey. Getting a logbook loan in Putney couldn’t be simpler, call us on 0208 948 4867 or apply online and as we are local you can even can and visit us our logbook loan specialists in Richmond. Can I loan against my v5 in Putney? The answer is yes! The V5 registration document is simply the official term for you logbook. Getting a V5 loan in Putney couldn’t be simpler, once again simply call us on 0208 948 4867 or apply online and as we are local you can even can and visit us our V5 loan specialists in Richmond. Logbook and V5 Car Loans in Putney. To get an instant cash loan against your car in or logbook in Putney today!